If you’re in the process of moving properties or have recently had some construction work done on your home in Brompton, SW10 – clearing up afterwards can be hard work! At Go Rubbish Go. we provide Brompton waste collection services that will save you the effort. We provide a range of SW10 waste clearance services that vary greatly, depending on the specific needs of our customers! So whether its builders waste clearance you’re after or maybe even furniture disposal – look no further. Our professionals work quickly and efficiently to ensure that every area you need cleared, is left empty and waste free. You already need not worry about finding a place to dispose of your old garden and electrical equipment because we can do it for you! When it comes to removing and disposing of your junk, we only employ methods that are as environmentally friendly as possible – our aim is to recycle as much as possible. 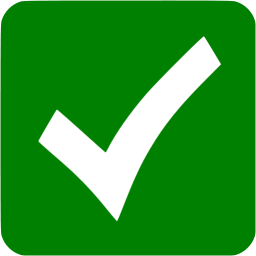 Our Brompton rubbish clearance is unbeaten elsewhere in the SW3 and SW5 areas, so why not book with us today? Call 020 8610 9182 today for more information or for your free quote on our incredibly low prices! 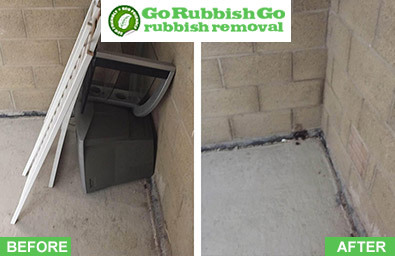 Brompton Rubbish Clearance Can Be Hard Work, Let The Professionals Take Care Of It For You! Here at Go Rubbish Go. we completely understand that whether you’re trying to rid you garage, garden or home of old furniture and equipment or getting more space in your home, waste clearance is hard work. 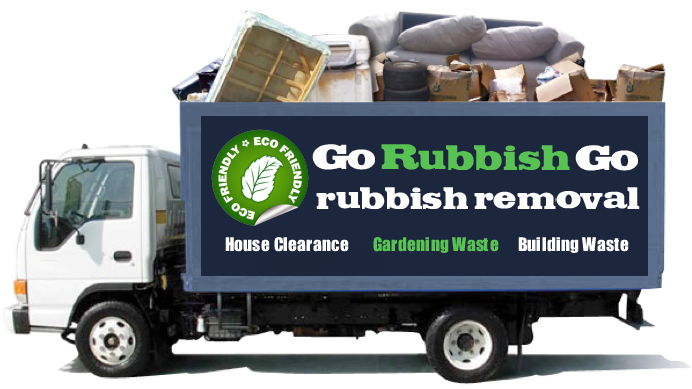 Our rubbish removal Brompton professionals are skilled with years of experience in carrying heavy furniture are trained in skills that allow them to dispose of them in the most efficient possible manner. 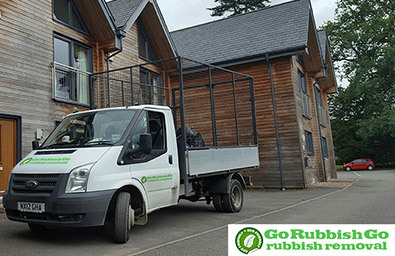 Our rubbish disposal SW10 clearance methods effectively cater for a whole variety of circumstances – whether you need help with builders waste disposal or garden clearance, we have the facilities to help. Our staff in SW3 work hard to get the job done quickly, we won’t keep you waiting around. Big thanks to the whole team for the professional and fast Brompton rubbish disposal service! Would gladly recommend to anyone in SW10. Make Your SW10 Waste Clearance Easy With Our Team on Hand! Our years of practice in this industry have left us with efficient methods that allow us to get your waste disposal in SW10, Brompton completed quickly, at standards that will not be beaten elsewhere. We completely understand that not everyone has the appropriate skills or equipment to allow for DIY waste disposal, so our junk clearance services provide all of the transport and equipment you could need to get the job done well. With our team in the SW10 region you won’t need to waste your money on skip hire, or a skip permit – we have all of that covered for you! So why not give us a call today? If you need help clearing your property in the SW5 district, call us on 020 8610 9182 now for our lowest prices and highest standards – don’t miss out! Sometimes you just don’t have time in your day to deal with all of the cleaning and clearing that your house necessitates. It’s fine to put things off every now and again, but it can be truly how scary how quickly the mess can mount up and become a real problem! 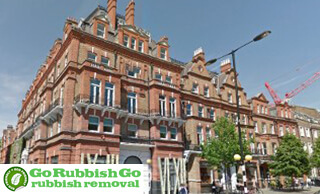 If you are struggling to navigate your house around the rubbish that has built up, it is time for you to take advantage of London’s favourite waste removal Brompton, SW10, Go Rubbish Go. With a reputation that is matched only by our quality of service, we’ve dealt with the waste clearance needs of the people of the city for many years, and we can do the same for you too! Brompton can be found in the Royal Borough of Kensington and Chelsea. The area is not strictly seen as one district as it is spread over three other areas: Knightsbridge, South Kensington and Chelsea. It is said that Charles Dickens, in his book Dickens’ Dictionary of London, described Brompton as ‘at one time almost exclusively the artist quarter,’ as the area is known for being home to writers and actors to this day. Brompton is home to a variety of different landmarks, some of these include: the Victoria and Albert Museum and the Natural History Museum.